It only serves to show us our phones are less than perfect. After tables were flipped over Apple slowing down older phones with failing batteries instead of letting them shut down, Apple offered an apology and a fix. Well, we can’t have that, now, can we? The Macalope hates to be the one to tell you, dude, but we’re all dying from the moment we’re born. What has brought Beres to this newfound existential precipice? Apple’s new Battery Health indicator in iOS 11.3. If you haven’t updated yet, please do so you can share in the dread and feel the inexorable pull of the dirt bath that awaits us all. Though the device assures me it’s operating at “peak performance,” it also indicates that the battery can only hold 93 percent of the charge it once did. Funny, the Macalope’s almost two year old phone also says it has 93 percent maximum capacity and he really took it more as the glass being 93 percent full rather than 7 percent empty like Beres did. The more information users have to counteract—or at least anticipate—the negative effects of iPhone aging, the better. Uh, yes? You’re clearly setting us up for a “no,” but didn’t we just have this argument and we all clearly came down on the side that Apple did the right thing but communicated it poorly and we all wanted more information not less? …I’d really like to have my cake and hate it, too. “Dis cake ish awfrul,” he bemoaned, shoving giant wads of it into his mouth. …this new battery indicator seems destined to result in two things: anxiety and iPhone-related purchases. Let us just posit for a moment that not everyone panics at the sight of anything less than 100 percent for a battery that’s two years old. It’s admittedly just a theory but it seems like it’s got some legs. That my iPhone now only operates at 93 percent of its original capacity is empty knowledge at best. It makes me extremely aware that my iPhone will eventually tick down to uselessness, and, yikes, it kind of makes me want to buy a new battery. This seems a little obsessive. You know, they don’t let the Macalope write about the thing he obsessively worries about. He keeps asking but they say, no, it’s not good policy to have someone who is so obsessively worried about something write about it because the material that results is always an overblown fear spiral. Silverfish. It’s silverfish, by the way. They also say, this is a technology site, we don’t cover household pests. And then the Macalope yells “HOW MUCH ARE THE SILVERFISH PAYING YOU? !” And then he goes and lies down. Which is to say, if Apple was serious about making this information useful to consumers, it would make devices that were easier to repair when things go wrong. 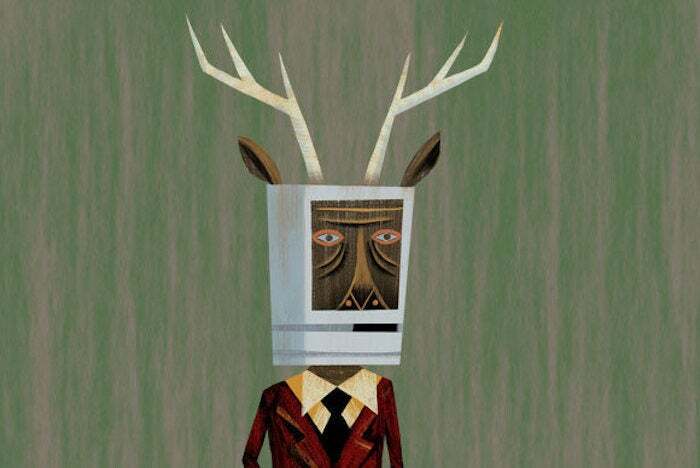 The Macalope would also like Apple to stop nickel-and-diming people with its various repairs and add-ons, but after two years most people are ready for a new phone anyway, what with all the newfangled doodads and such. And 93 percent? That’s still an A in the Macalope’s book.